The degree of profile on the surface affects a coating’s overall performance and determines aspects such as adhesion, coverage and overall volume of coatings used. If the profile is too large the amount of coating required increases, otherwise there is a danger that the peaks remain uncoated – allowing rust spots to occur. If the profile is too small there may be an insufficient key for adequate adhesion. The proper and effective preparation of a surface prior to coating is essential. Making sure that the correct roughness, or profile, has been generated is essential. If the profile is too low, the adhesion of the coating to the surface will be reduced. Too high and there is the danger that the profile peaks will remain uncoated – allowing rust spots to occur. If the profile is too high the chances of the paint in the valleys curing correctly are also reduced. 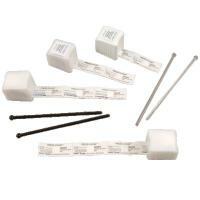 Needle type gauges – where the foot of the gauge sits on the peak and the needle extends to the valley or wherever the point is placed. You would take a number of readings to get a correct average, usually 10 readings are required. 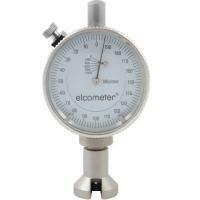 Needle type gauges can be split into the Analogue Model (Elcometer 123) and the Digital Model (Elcometer 224). Surface Comparator – measuring profile but it is very subjective and not repeatable and reproducible. 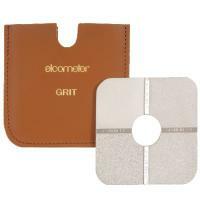 The Elcometer 119 Pipe Pit Gauge is a small pocket sized gauge designed to identify the condition of a pipe. The gauge is placed horizontally on the surface of the pipe and the stylus is positioned into the base of the corrosion pit. The gauge shows the pit depth compared to with the nominal pipe wall thickness. 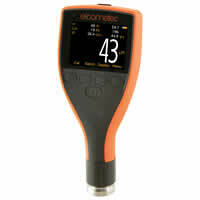 The Elcometer 124 Dial Thickness Gauge is used to measure the peak-to-valley height of a surface profile moulded in the Elcometer 122 Testex Replica Tape. Available in both Metric and Imperial versions. Quick and easy to use. Anvil pressure as required in the Standards.